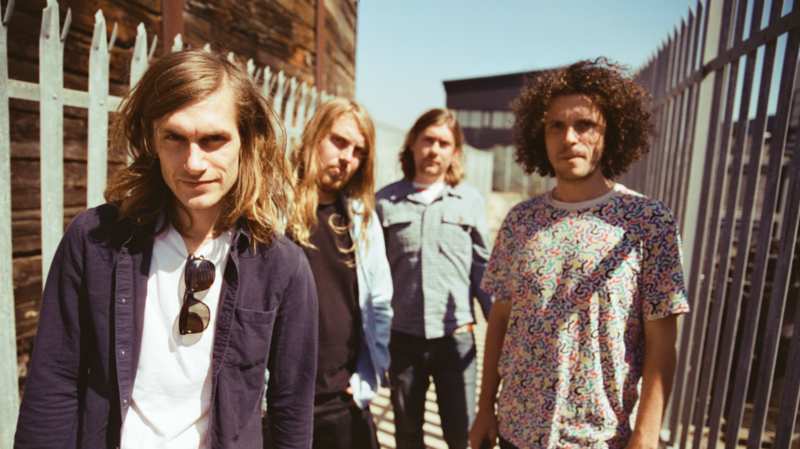 As the Canterbury-formed psych-rockers prepared to unveil their fourth studio album, we caught up with Raven Bush from the band to discuss line-up changes, recording in L.A. and the secret to Syd Arthur’s longevity. There’s been a line-up change since your last LP, with drummer Fred Rother leaving the band due to hearing difficulties. That must have been a very difficult decision for him to make. Definitely. Lots was going on around that time and it was really, really tough, but I think he’s in a really good place now. Sometimes life throws these crazy punches at you, and you just have to swerve and get on with the next thing. I think we’re all in a good place now but it was a very hard time. How has Liam and Joel’s younger brother, Josh, joining the band affected the dynamic? You’re out-numbered by Magill brothers three to one now, right? It’s amazing that we’re still together in this band, 13 years down the line, after everything we’ve been through. 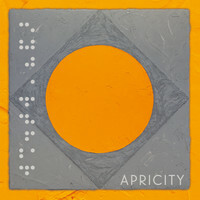 How soon after finishing up touring Sound Mirror did you start work on Apricity? We’re always writing but essentially it all coincided with Fred leaving and Josh joining at the end of 2014. We were in the studio whilst all that was happening, and we were just using all that time to write a load of music. What was the goal sonically for Apricity? Well, we’d been touring for a year and a half previously, playing amazing shows and festivals, like Coachella and supporting Pixies. We did Radio City Music Hall, and Terminal 5, and The Greek Theatre, and all these amazing venues. So, suddenly going from being a band that was playing clubs and the odd festival, to going on some big support tours and sharing our music with loads of people was a big change. There’s that David Byrne book ‘How Music Works’, where he talks extensively about how – consciously or not – we make music for an environment. African music, for example, wouldn’t have been created if the concert hall was the space for it, because in the concert hall there’s lots of reverb: that tight, percussive drumming could only actually exist in an outdoor environment where you don’t have the reflections. So, of course touring and playing in different spaces is going to have an influence on how you make music. So you were designing music suited to bigger venues? Not as the sole purpose, but taking it into consideration, yeah. Like, what ways can you unite a room full of people? I think that was a big influence for us: wanting to make a bigger statement with bigger melodies and fatter grooves, and trying to make everything more visceral and more emotional and as direct as possible, while still being us. We were trying to re-establish what it is that makes us the band that we are, and then trying to hone in on that and just do what we do the best. It’s always nice to explore territory that someone hasn’t heard before because you don’t want to fall into clichés. Aside from the weather, why did you decide to record Apricity in California? Well, we were up for a change. We’ve done all the previous records ourselves, and when I say ourselves I mean we were really self-sufficient: we had our own label and our own studio, so we started to record ourselves early on, and set up a record label. Having doing everything ourselves for a long time, we wanted to try something different, so we thought we’d try using a different studio and then thought, “Why not just go to a different country as well?” We’ve got a load of friends in L.A., so it just seemed like a good place to go. We found [producer] Jason Falkner at Hyde Park, where it was us, The Strokes, Beck and a few other bands. Jason plays in Beck’s band and we hit it off and he was really into our band. So we just spent three weeks out in L.A. meeting a bunch of different people, trying a few days at Jason’s studio, and then we gathered our thoughts and just went for it. When you’ve been so self-sufficient for such a long time, is it difficult to hand over some of that control? It is, definitely. It’s funny you should say that because we didn’t actually finish the record out in Los Angeles. We actually brought it back to the UK unmixed, because we felt like that was a good way of not letting go of control completely. I think when you’ve got a good idea of what you want, sometimes you’re the best person to get that. So it was good to bring it back and finish it ourselves because we could take that extra bit of time and make it right. Whereas if we’d finished it out in America it’d probably have been a tiny bit too rushed for our liking. How long were you out in L.A. for? We were out there for between two and three months, and our base was this place in Topanga Canyon. It’s crazy, there, with this real far-out feel, and you’re in the canyon but you’re about 45 minutes from downtown Los Angeles. We were staying there, using this old studio as a base. Like, imagine all those classic L.A. stone and wood studios from the 70s and 80s, except it didn’t have any gear or anything. So that was our base and then we basically did 10 days tracking at Jonathan Wilson’s studio in Echo Park. Then, after the 10 days, we took the recordings back to Topanga, rented loads of equipment, and just finished the record there, with overdubbing and doing all the vocals. At that point we were literally sleeping in the studio, so it was like 24/7 work almost. Jason would drive up from L.A. and meet us in the morning and we’d just be there working all day, trying out a bunch of different things. It was really fun not being in a studio where we were paying for every minute we were there. Just being out in America with a producer was enough pressure. Yeah, definitely. I mean, you’ve got to learn things about yourself every day but, yeah, we just learned that right now things are feeling really good in the band. It’s like we’re ready to take this to the next level, essentially. We really want to do loads of stuff with the live show, and incorporate a lot of visuals, make it more immersive and create an amazing experience for the audience. You’ve been together for 13 years now. Are your motivations the same as when you started out? Yeah, I think so. Obviously we’ve all grown a hell of a lot throughout that period and we’re different people. I think if you listen to the music we were making 13 years ago and compare that to now, that would probably answer quite a lot of questions. We used to be into instrumental music and jamming, and now we’re just really focused on song craft. It’s about really wanting to move people and to bring people together. We’ve seen the world and played to so many thousands of people, and you start to realise the power of what we can do as a band. It’s amazing that some people like what we do; we feel really blessed and we want to keep getting better at doing that. It’s amazing that we’re still together in this band, 13 years down the line, after everything we’ve been through, and I think we’ve just made our best record. So I hope we can continue because, in this day and age, being a band is quite a rare thing. It is rare, especially to be in a band with four albums to their name. What’s your secret to longevity? I think it’s just because we’re all mad? No, I think it’s because we all absolutely love music. I guess us all coming from the same place and growing up together too... That’s what forms your relationship, sharing experiences, isn’t it really? And I think luck is a big part of it. What’s the one piece of advice you would offer to bands starting out now? It’s all about being sincere. Whatever you do, you’ve got to mean it, and you’ve got to be committed 150% to just doing it. And I think if you do that you’re going to end up sounding like yourself and come up with something interesting that people can relate to.